National Geographic is going back to Mars. TVInsider reports the network has renewed the series for a second season. From Brian Grazer and Ron Howard, the hybrid scripted/documentary series follows a fictional crew’s mission to the Red Planet in the year 2033. Season one debuted on November 14th, 2016. 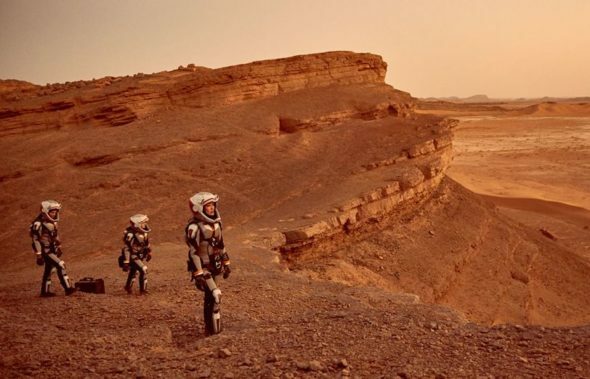 A premiere date for season two of Mars has not yet been announced by National Geographic Channel. What do you think? Did you see Mars? Will you watch season two? Excellent show. Shows real problems of living on Mars. Waiting for season 3 and more. I am looking forward to seeing more episodes. Like the format mix. Wish was longer episode lengths. Waiting for the start of season 2……….. Please continue this show. Season 1 combination of reality (documentary) and fiction is a great story model. Keep it up for the much anticipated Season 2, 3, 4 …..
I’ve been watching for the starting date of Season 2. This is one of the best shows on TV mixing the reality and problems of putting humans on Mars and the novelized story of the possibilities of what we will find when we get there. It’s creative and visionary. Riveting TV. I loved season 1 and can’t wait for season 2. I sure hope season two comes to pass. Is it going to be on this year and when? I recorded season 1 but it started too slow for me so I deleted it.